Ever look at video and notice it has an orange tint? Or maybe a blue tint? 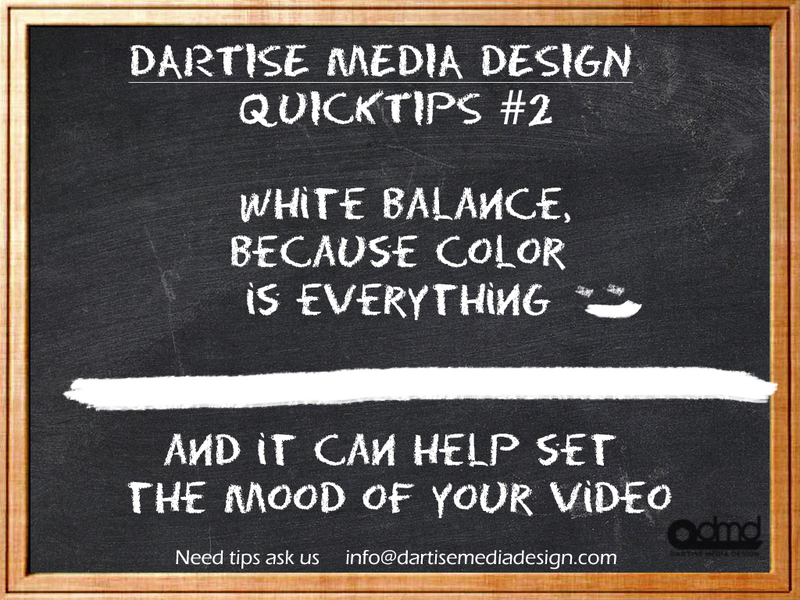 One way you can prevent those colored videos are by white balance. Most cameras have an Auto White Balance (AWB) Setting. You can use this, but sometimes the camera doesn’t always get it right (the color temperature that is). Think of color temperature like this: each light source has its own individual color, or ‘color temperature’, which varies from red to blue. 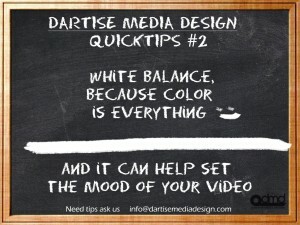 Without going into full detail about what color temperature, pay attention to you camera settings and it may help. Daylight (symbol of the sun) Use when outside and sunny. Shade (symbol of a house casting a shadow) Use when shooting in the shade. We suggest you pay attention to you surroundings and set your camera accordingly. You can also create a specific mood by varying cooler (blue-ish) video vs. warm (orange-ish) video.